Monday’s on the blog are pretty flexible. Sometimes I post “Millenial Workwear” and now I will post “Mommy Monday” content. 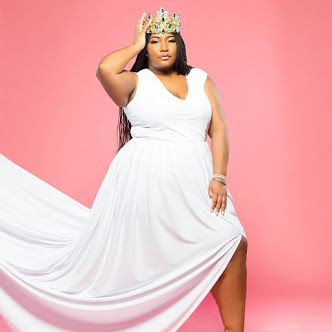 “Mommy Monday” will be used to give you all pregnancy updates and even maternity fashion. 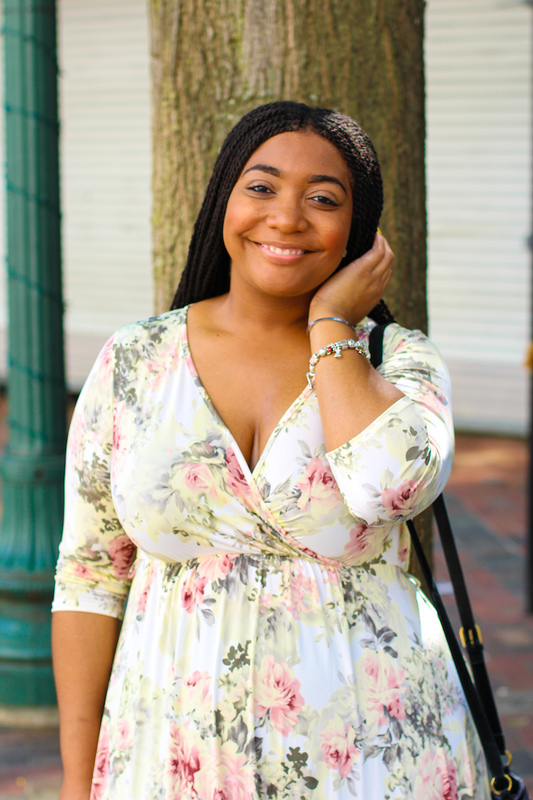 As a fashion blogger maternity fashion really excites me. Also, not everything I wear will be maternity wear but as always I will give those details on sizing information. I literally just told you all I was pregnant and I am so happy to share some maternity style with you all. My only worry was cool maternity jeans. 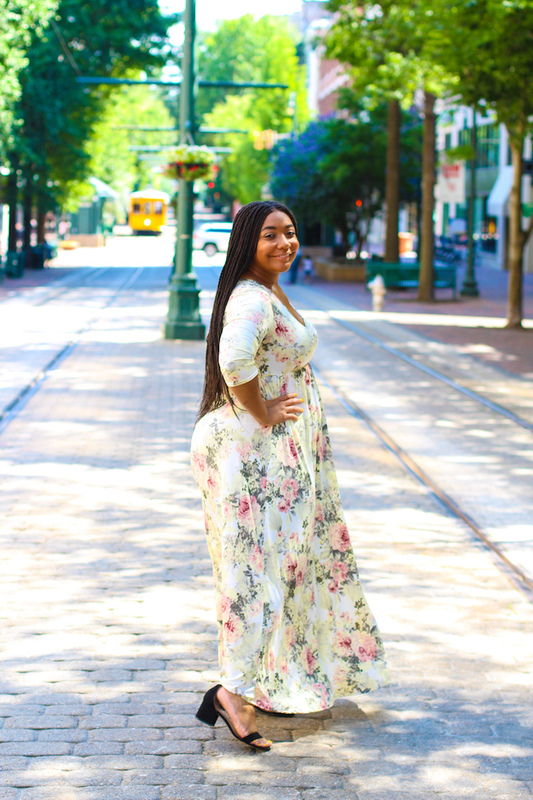 I have seen some jeans and I really contemplated on getting some of my favorite jeans converted to maternity jeans, but I found PinkBlush and I am so happy I did! These PinkBlush jeans are everything! I felt like myself in these jeans with the comfort of a belly band. I am currently in my second trimester and I would prefer maternity jeans because my old jeans are tight. So these are everything! Styling these jeans made me so happy. I actually paired a “nursing robe” with these jeans. 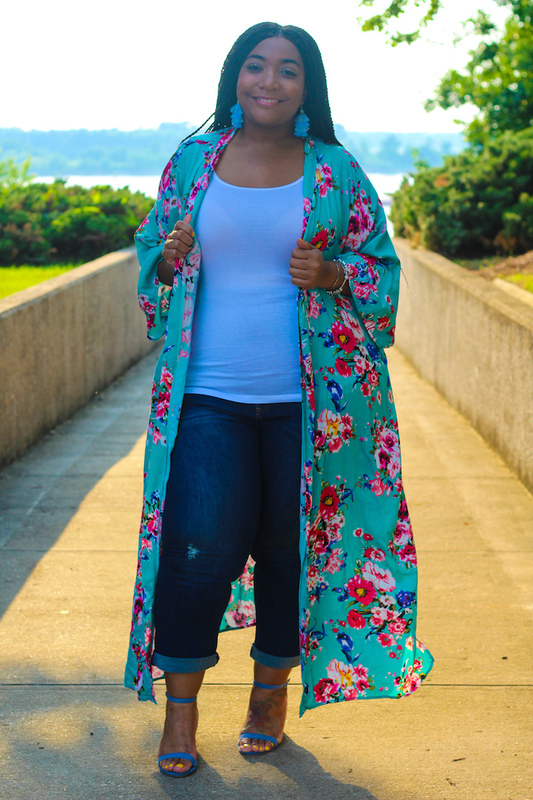 I love kimonos and this robe as a kimono works perfectly. Style Notes: I am wearing a 3x in these jeans, prior to pregnancy I was a tight 16 and comfortable 18 for reference. I am wearing a 1x in the nursing robe. 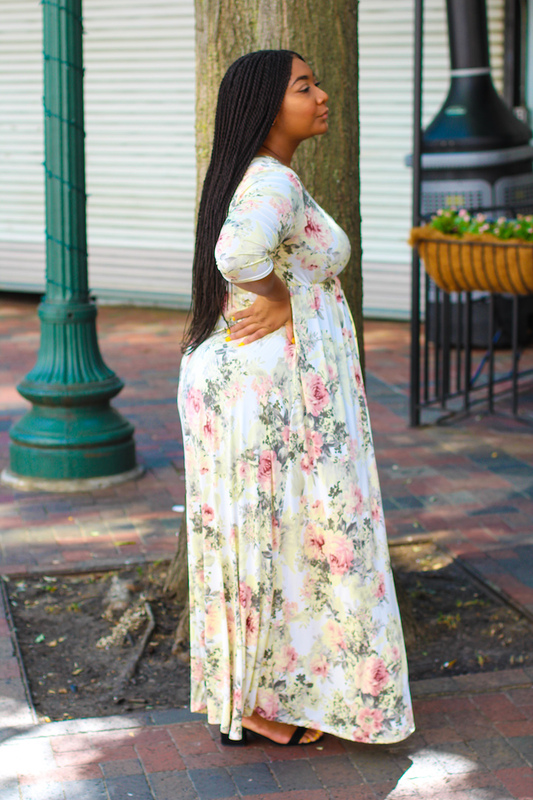 You all know I love a good maxi dress and this dress is perfect! This dress has so much movement and is so soft. 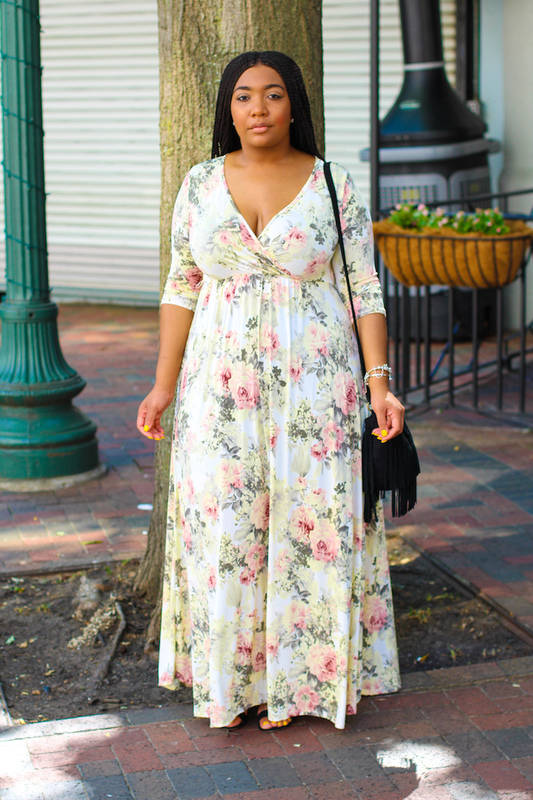 This is a maternity maxi dress but would easily work for a none pregnant woman. The dress is super long and worked well with my sandals. 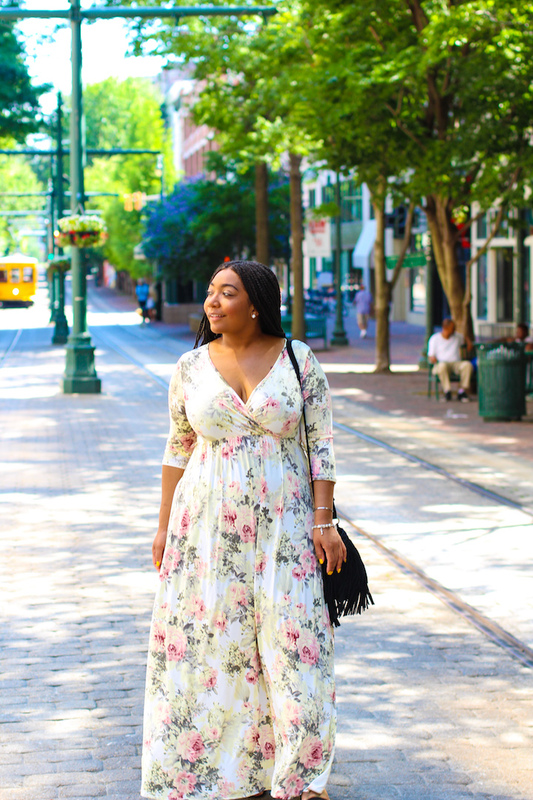 Style Notes: I am wearing a 1x in this dress and the fit is perfect. Again, this would work for none pregnant women as well. 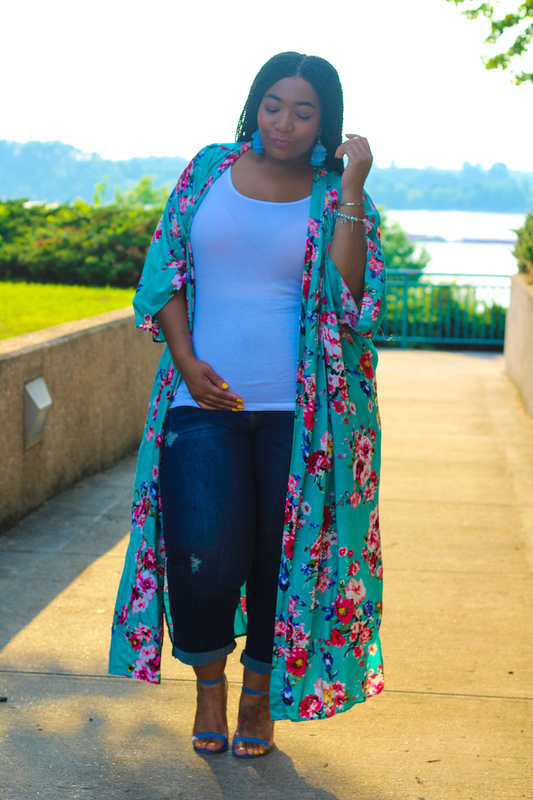 *Clothing gifted as part of PinkBlush Ambassador Program.